There is still two whole months left until RM Sotheby’s next vintage cars auction takes the floor, but the sale is already somewhat of a conversation starter. Last week the renowned auction house confirmed new additions to the already rich catalog: we are talking about a Lamborghini Miura P400 S, previously owned by the rock legend Rod Stewart. Stewart has sold over 100 million records worldwide during his career, and the Sotheby’s sale has just as good a chance to reach gold. 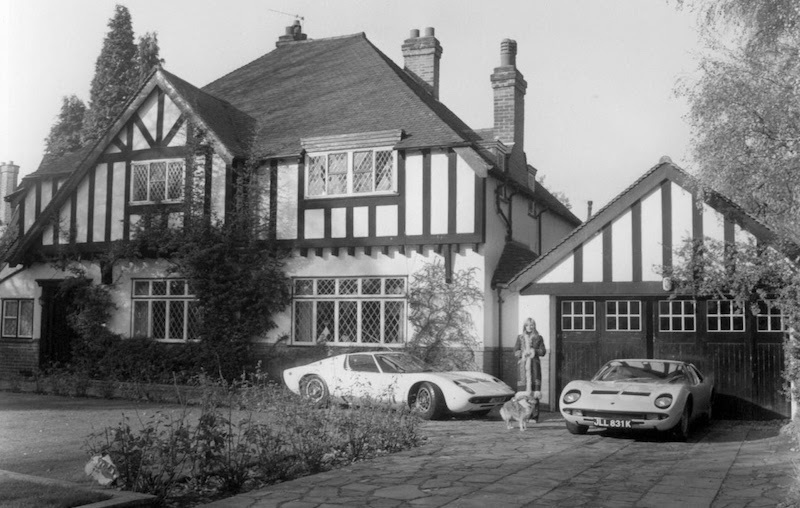 Rod Stewart's girlfriend poses with the Lamborghini Miura outside their Southgate home in 1970. Stewart's car is the right one. Image courtesy of Avalon Photoshot Collection. The Lamborghini Miura P400 S, chassis n. 4863, was purchased by the artist in 1971 in London. The vehicle then passed to a new owner who kept it for more than two decades before auctioning it off, after having restored the car at Lamborghini’s in-house classic restoration department for an amount of 300,000 euros. The car is a rare example of the right-hand drive, and the lucky future owner will also get the cars original records and delivery note, as well as a photo of the model Dee Harrington, Stewart’s then-girlfriend standing alongside the Lamborghini. The Lamborghini will be on display from August 30th to September 1st at the Salon Privé Concours d’Elegance at Blenheim Palace and is estimated at 1,200,000 to 1,400,000 British pounds. 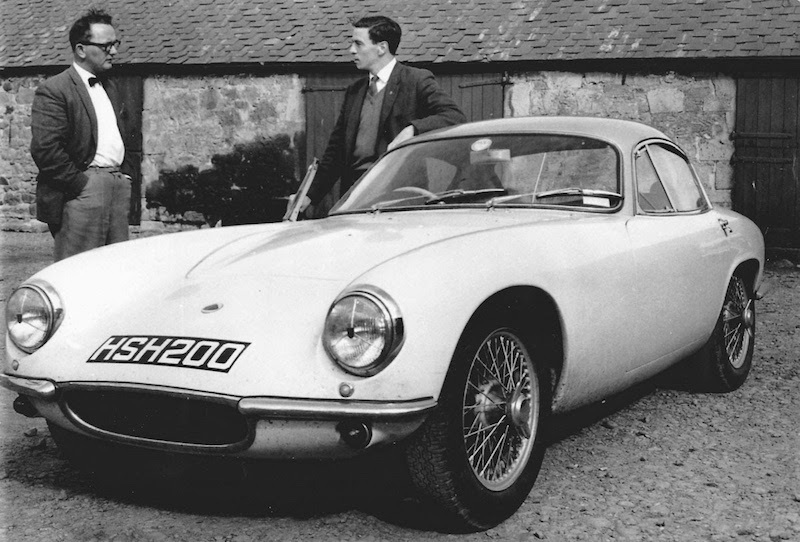 Jim Clark and James Scott of the Edinburgh Evening News in 1962 with Jim's Lotus Elite. Photo courtesy of the owner. But that’s not all; the sale will also feature two other cars previously owned by celebrities: a Lotus Elite Super 95 of 1962, given as favor from Colin Chapman to Jim Clark, one of the most famous race drivers of the last century, and a very special Aston Martin DB4GT of 1961 once owned by the famous actor, screenwriter and director Peter Sellers. The Aston Martin appeared alongside the actor in the movie “The Wrong Arm of the Law” (1963). It’s said that Sellers had so much fun driving the car around on set that he decided to buy it soon after. Check out all cars currently being auctioned off on Barnebys!